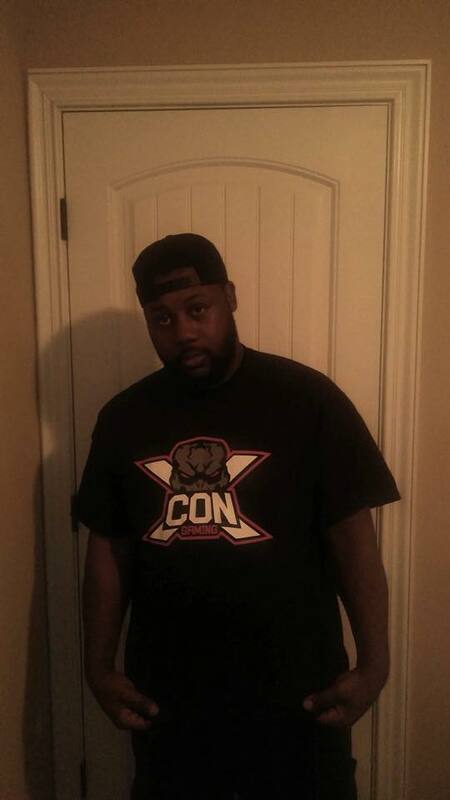 ToxicBeastXXX is wearing XCON GAMING T-Shirt and Hat. This front side of T-Shirt and Hat. 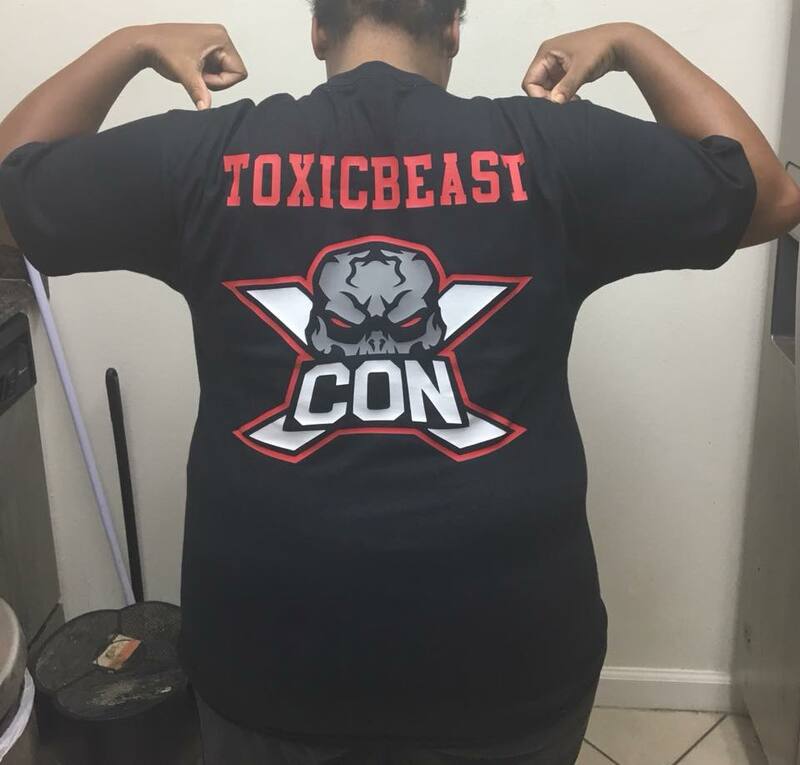 ToxicBeastXXX is wearing XCON GAMING T-Shirt. This is back side of T-Shirt. 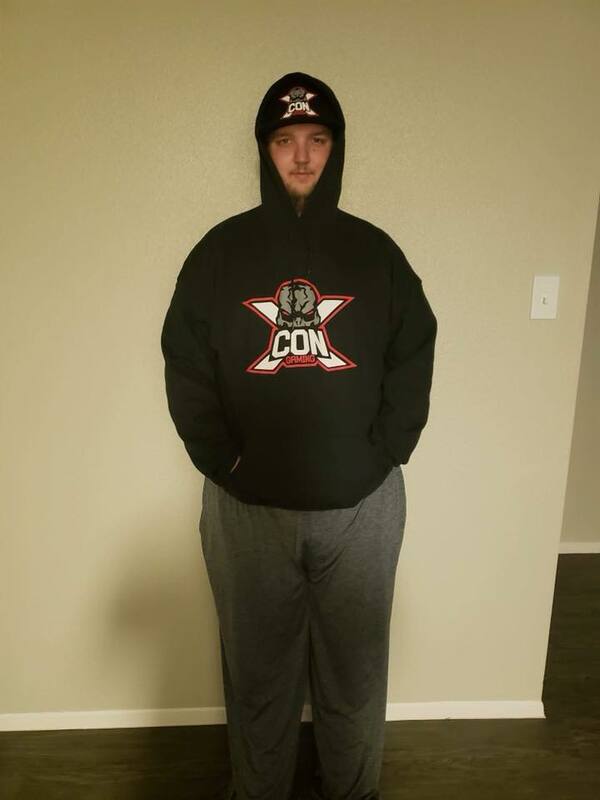 ToxicBeastXXX is wearing XCON GAMING Hoodie and Hat.This front side of Hoodie and Hat. 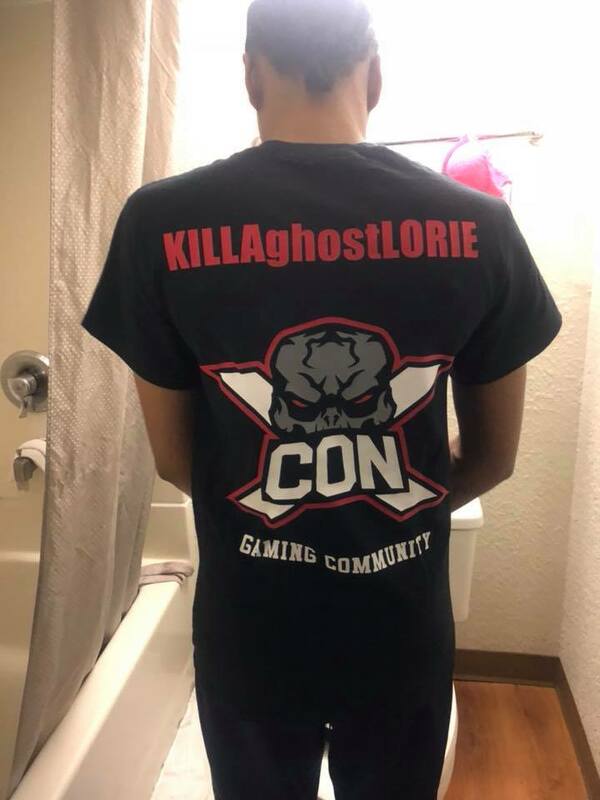 KILLAghostLORIE is wearing XCON GAMING T-Shirt. This front side of T-Shirt. 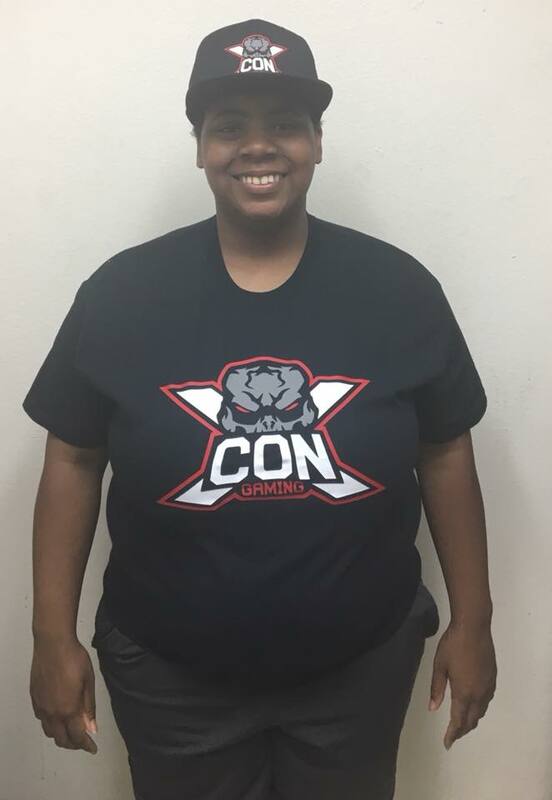 KILLAghostLORIE is wearing XCON GAMING T-Shirt. This back side of T-Shirt. 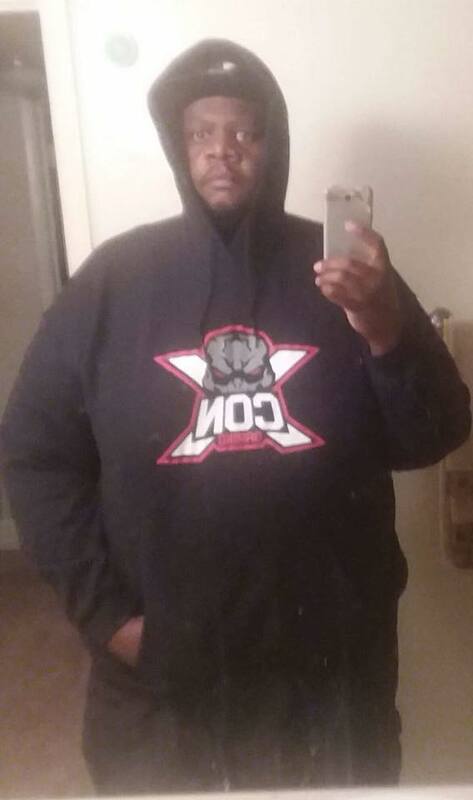 KILLAghostLORIE is wearing XCON GAMING Hoodie. This front side of Hoodie. 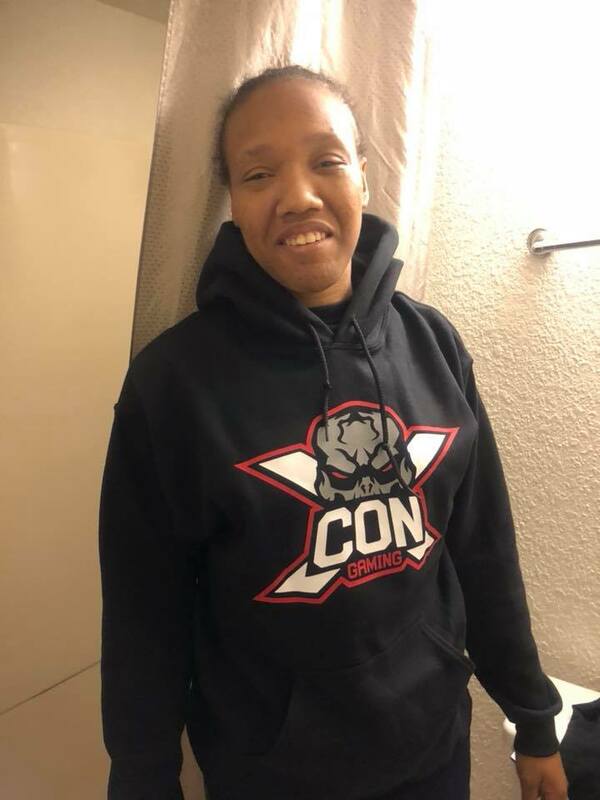 KILLAghostLORIE is wearing XCON GAMING Hoodie. This back side of Hoodie. 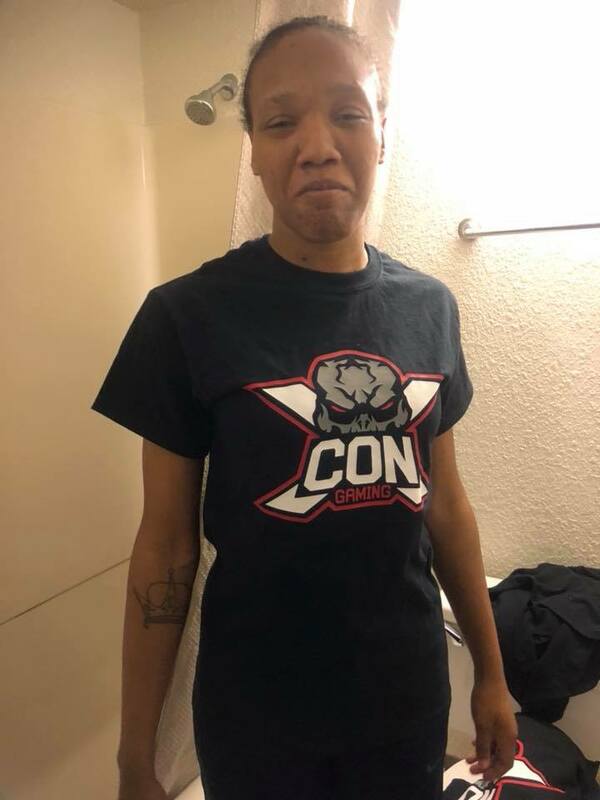 VIXENxREAPERx is wearing XCON GAMING T-Shirt. This front side of T-Shirt. 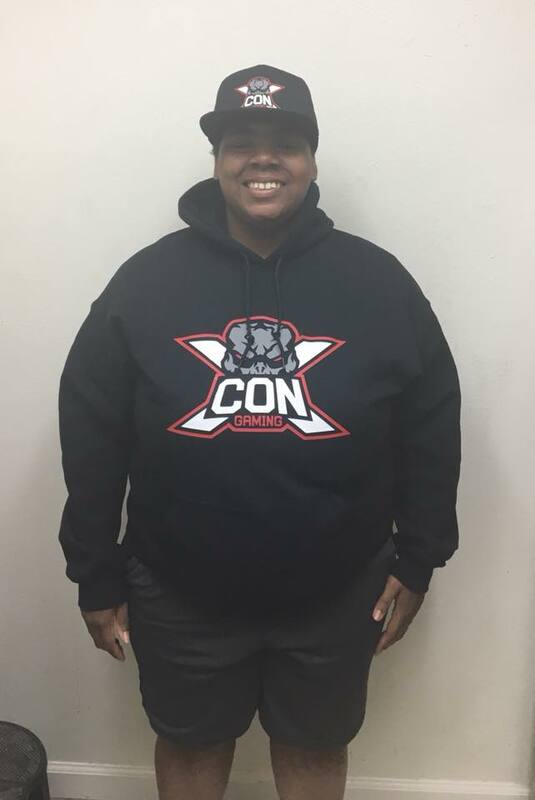 VIXENxREAPERx is wearing XCON GAMING Hoodie and Hat. This front side of Hoodie and Hat. 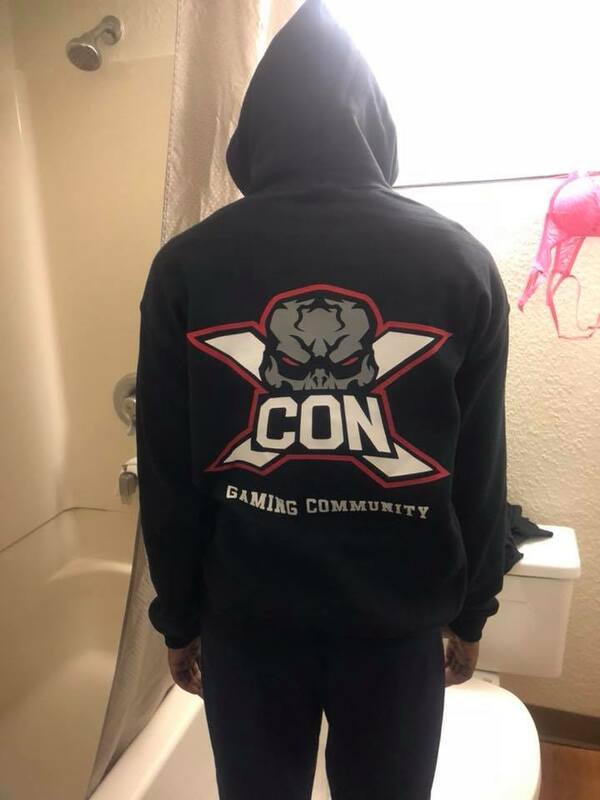 VIXENxREAPERx is wearing XCON GAMING Hoodie. This front side of Hoodie. IXSolarKillerXI is wearing XCON GAMING T-Shirt and Hat. This front side of T-Shirt and Hat. 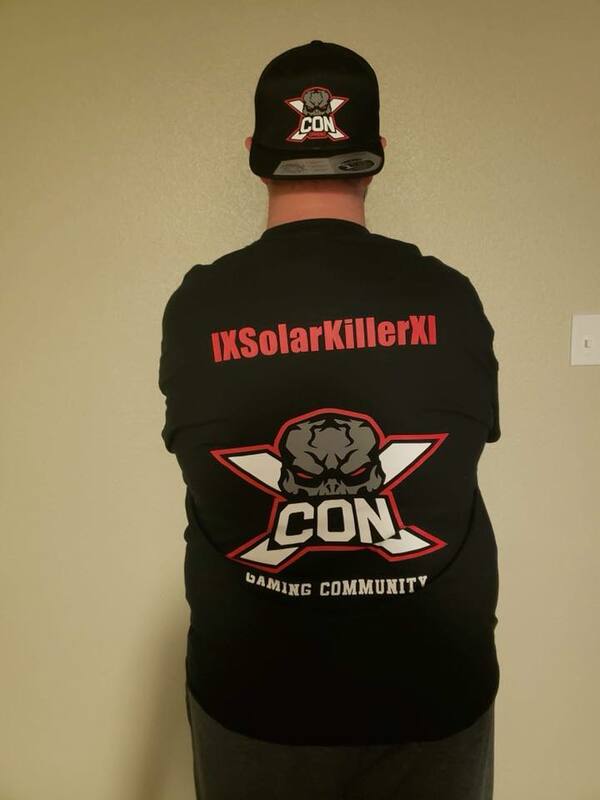 IXSolarKillerXI is wearing XCON GAMING T-Shirt and Hat. This back side of T-Shirt and Hat. 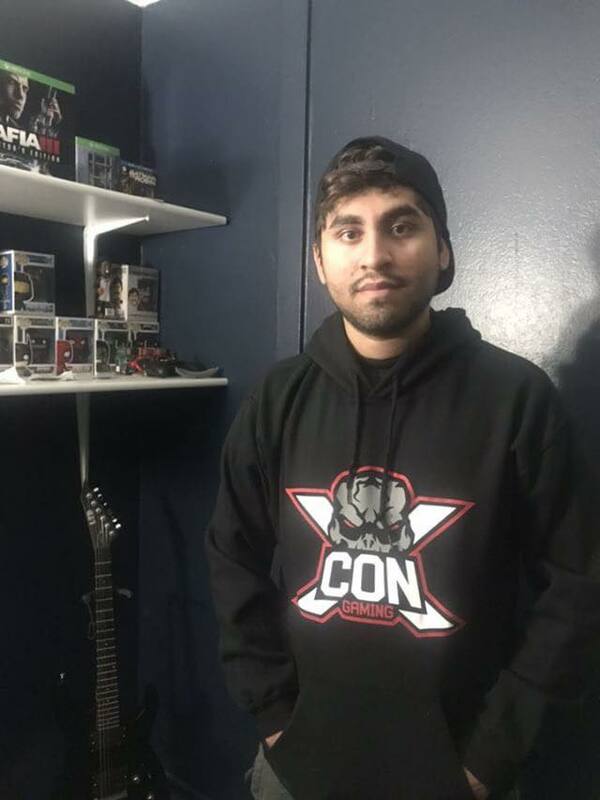 IXSolarKillerXI is wearing XCON GAMING Hoodie and Hat. This front side of Hoodie and Hat. PVG S cry ed is wearing XCON GAMING T-Shirt and Hat. This front side of T-Shirt and Hat. 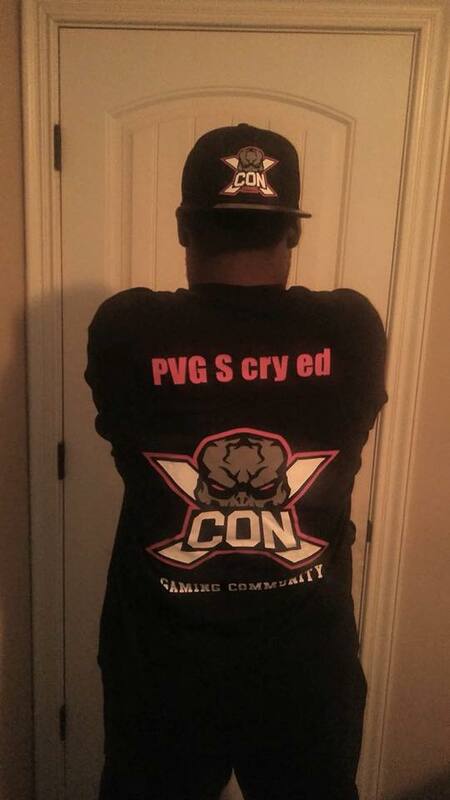 PVG S cry ed is wearing XCON GAMING T-Shirt and Hat. This back side of T-Shirt and Hat. PVG S cry ed is wearing XCON GAMING Hoodie and Hat. This back side of Hoodie and Hat. 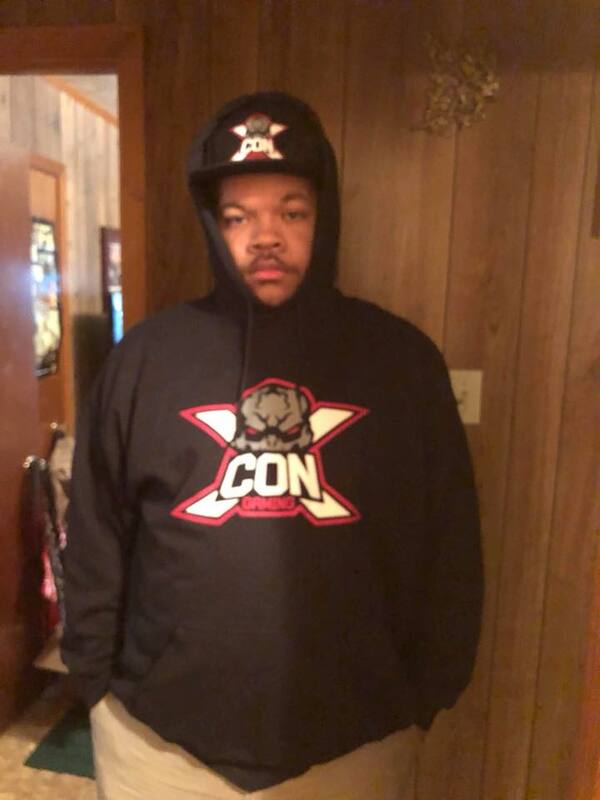 ReDMaN Ix is wearing XCON GAMING Hoodie and Hat. This front side of Hoodie and Hat. 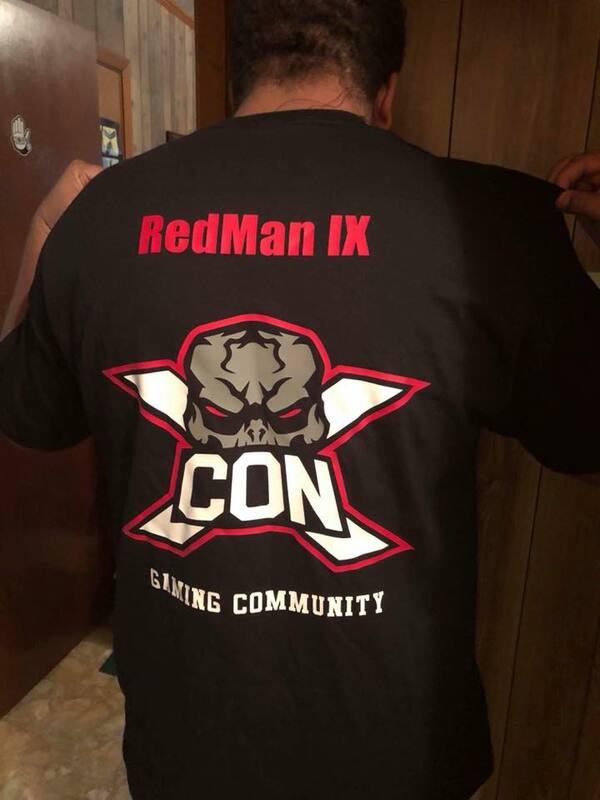 ReDMaN Ix is wearing XCON GAMING T-Shirt and Hat. This back side of T-Shirt and Hat. 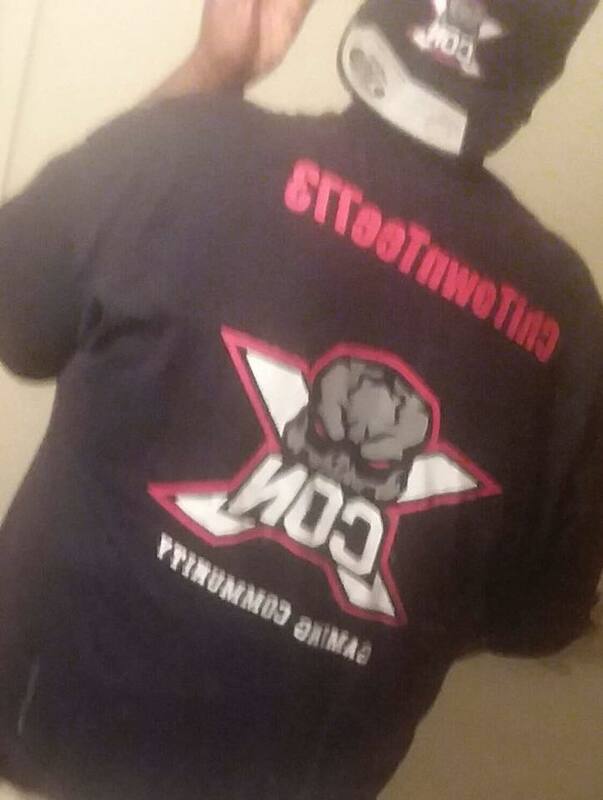 ChiTownTee773 is wearing XCON GAMING T-Shirt and Hat. This front side of T-Shirt and Hat. 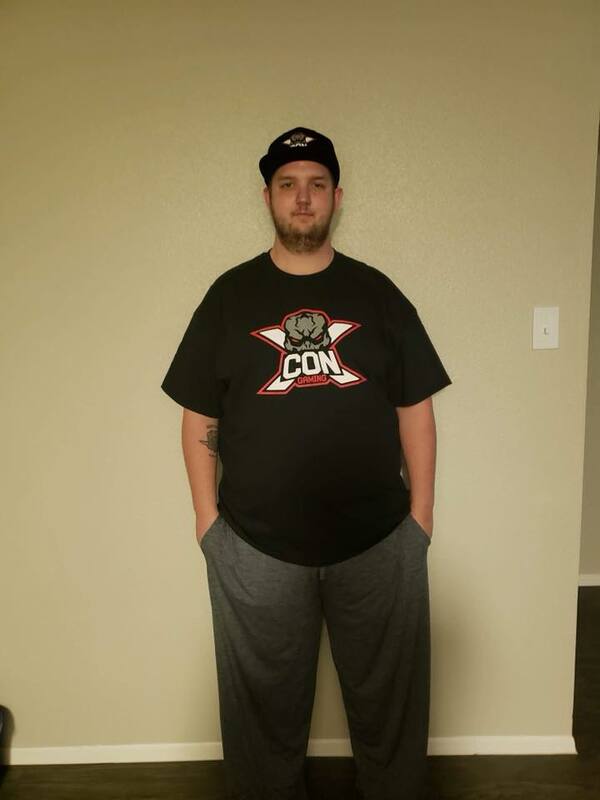 ChiTownTee773 is wearing XCON GAMING T-Shirt and Hat. This back side of T-Shirt and Hat. 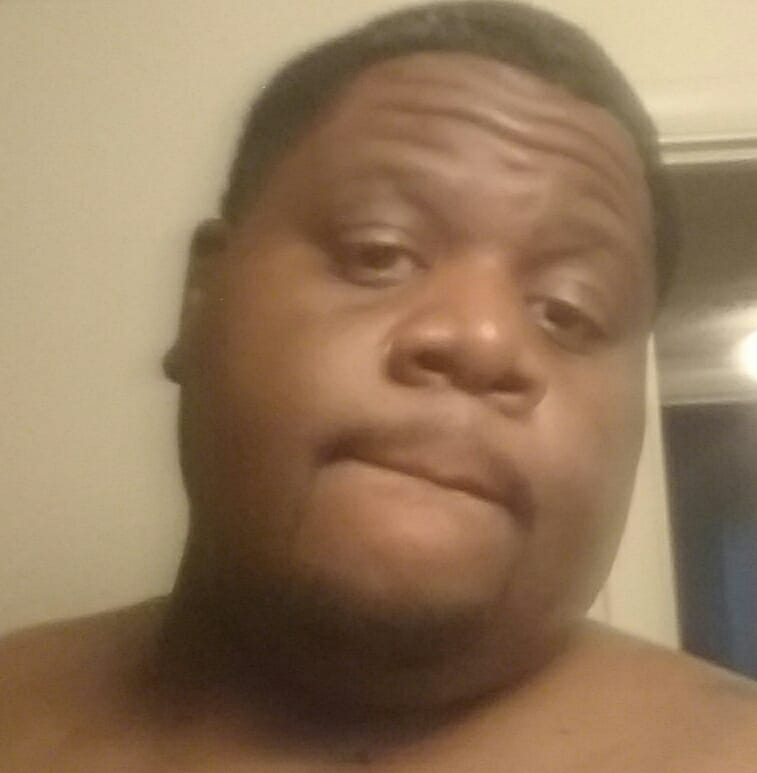 ChiTownTee773 is wearing XCON GAMING Hoodie and Hat. This front side of Hoodie and Hat. 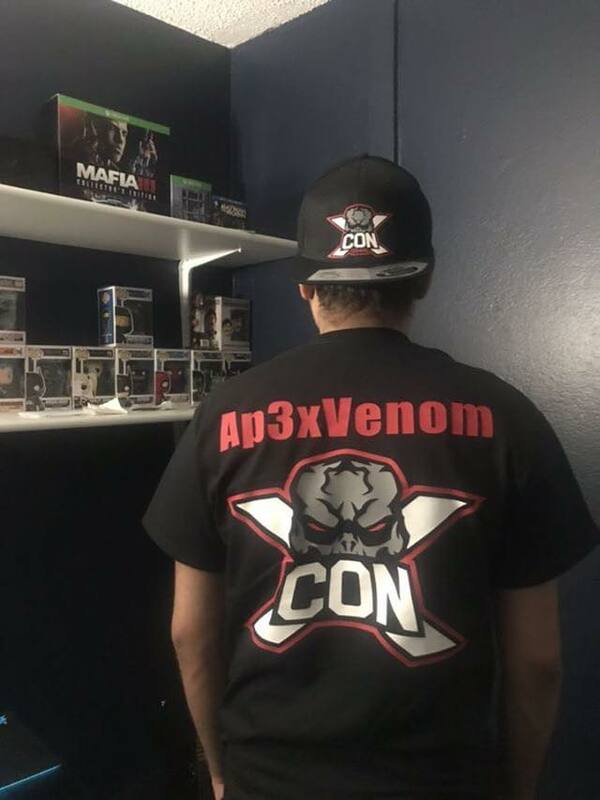 Ap3x VenoM is wearing XCON GAMING T-Shirt and Hat. This front side of T-Shirt and Hat. 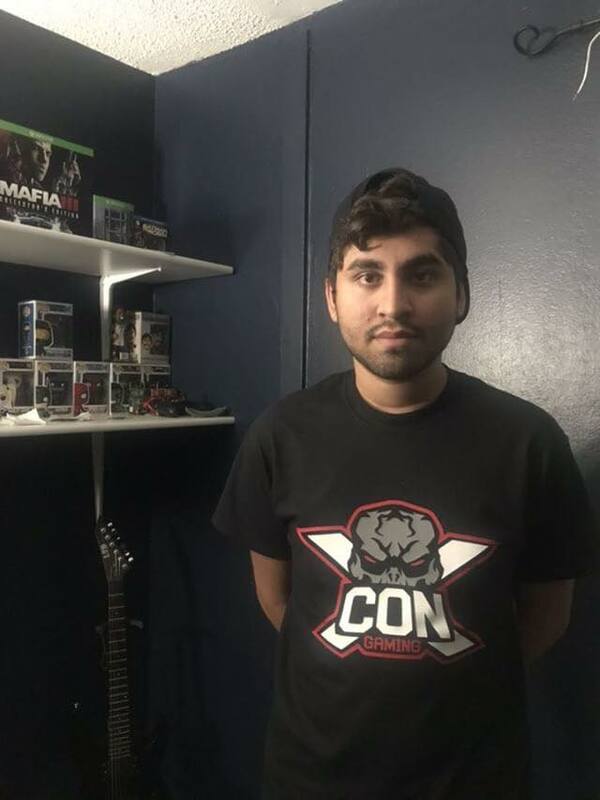 Ap3x VenoM is wearing XCON GAMING T-Shirt and Hat. This back side of T-Shirt and Hat. 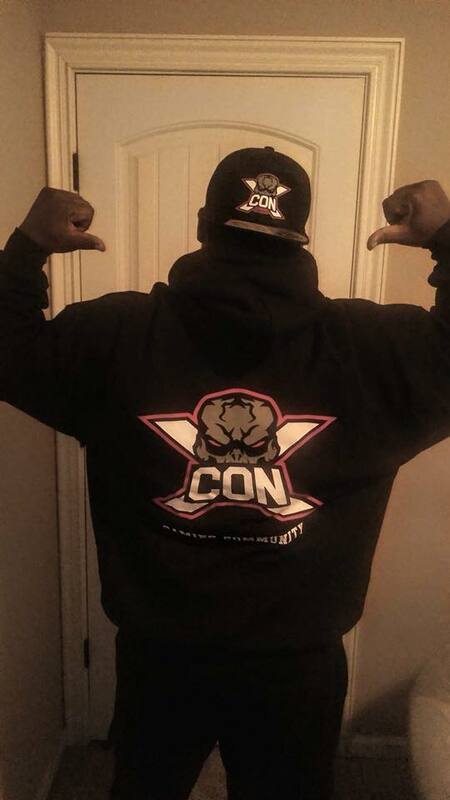 Ap3x VenoM is wearing XCON GAMING Hoodie and Hat. This front side of Hoodie and Hat. 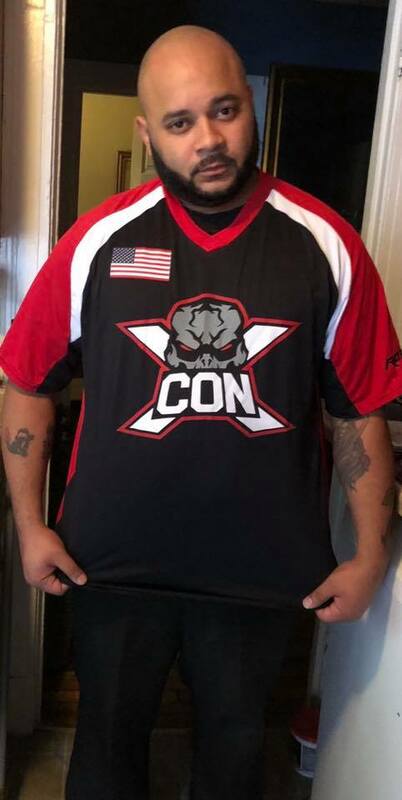 MrHookah860 is wearing XCON GAMING Jersey. This front side of Jersey. 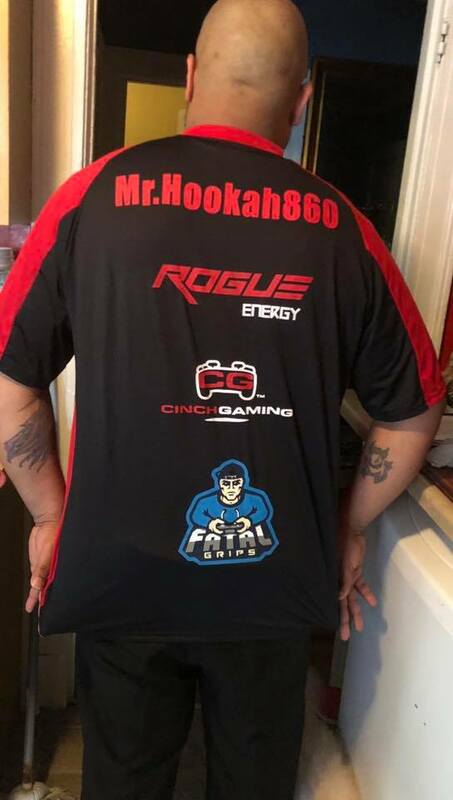 MrHookah860 is wearing XCON GAMING Jersey. This back side of Jersey. XCON GAMING has two Pro Teams for season in Esports one team is going to be in Madden NFL 19 and another going be in Call of Duty:Black Ops 4. Both team will competing in online competition like Esports Tournaments. One of Pro Teams is competing Lan Esports Tournaments this season. Both Pro Teams have been hand pick and thoroughly been evaluated an been selected to play for our organization under brand to play for XCON GAMING. We have Madden NFL 19 Pro Team. We have two pro players in who plays under XCON GAMING organization both these players are super talented. These two pro players are highly skilled and very intelligent individuals who Madden NFL 19 at their peek performance in competitive gaming. Our two pro players for Madden NFL 19 is MrHookah860 and AO1 HAZE. 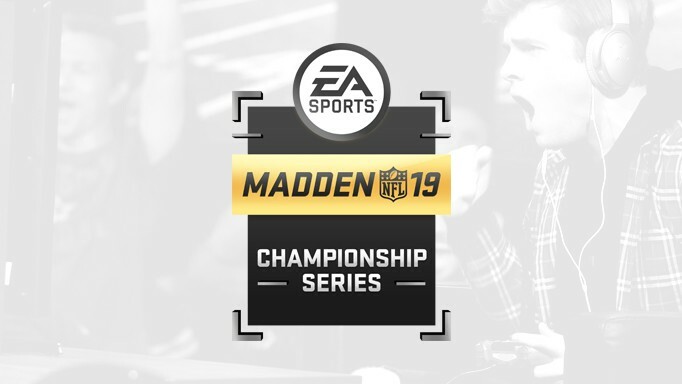 XCON GAMING Madden NFL 19 Pro Team will be in competing in Madden NFL 19 Championship Series Play and Esports Tournaments. Esports Lan Tournaments. 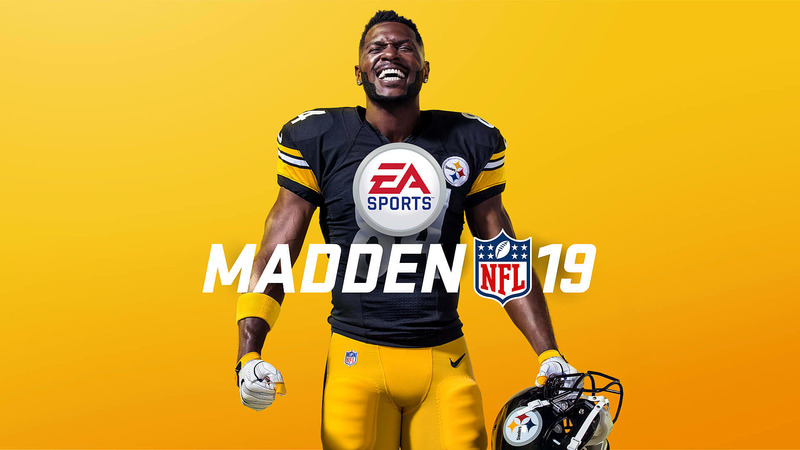 XCON GAMING Madden NFL 19 Pro Team are participating in online Tournaments and Esports Lan Tournaments around country in United States for Madden NFL 19 Season. We have Call of Duty: Black Ops 4 Pro Team. XCON GAMING Call of Duty:Black Ops 4 Pro Team will be in competing in Call of Duty Black Ops 4 League Play and only online MLG GameBattles. XCON GAMING Call of Duty:Black Ops 4 Pro Team are only participating in online Tournaments not LAN Tournaments for Call of Duty: Black Ops 4 Season. #GamerGoo for your sweaty hands.